Tabbernor, Andrew Wesly; Taken on strength as a Gunner in 15th Field Artillery Regiment RCA on 24 Feb 1976, qualified General Military Training on 5 Jun 1976, qualified Artilleryman Trade ualification 1 on 3 Aug 1976, released 28 Sep 1976. Tabbernor, Anthony Joseph; Taken on strength as a Gunner in 15th Field Artillery Regiment RCA on 24 Feb 1976, qualified General Military Training on 4 Jun 1976, released 23 Sep 1976. Tadla, Dana Atopa; Taken on strength as a Finance Clerk in 15th Field Artillery Regiment RCA on 5 Aug 1993, qualified QL2 Common Recruit on 6 Mar 1994, released on 29 Jun 1995. Taggart, Ross Thomas; Taken on strength as a Musician in 5th (BC) Field Battery RCA on 24 Jan 1985, qualified General Military Training on 11 Jul 1985, qualified TQ1 Musician (Clarinet) on 2 Aug 1985, promoted Bombardier on 27 Mar 1986, transferred to 15th Field Artillery Regiment RCA on 15 Oct 1986, released on 14 May 1987. Tai, Jack Yu-Chieh; Taken on strength as a Gunner in 15th Field Artillery Regiment RCA on 28 Jun 2001, qualified LFC Driver Wheeled on 26 Jan 2002, appointed Officer Cadet on 13 Feb 2003. Tai, Vincent Wing Hung; Taken on strength as a Gunner in 15th Field Artillery Regiment RCA on 18 Apr 1998, qualified QL2 Common Recruit on 24 Jul 1989, released on 26 Jan 2000. Takemori, Michael Sunao; Taken on strength 15th Field Artillery Regiment RCA on 4 Jul 1977, released on 15 Sep 1977. Tam, Chun Hung; Taken on strength as a Gunner in 15th Field Artillery Regiment RCA on 20 Jan 1983, released on 12 Feb 1983. Tam, Jensen HL; Taken on strength in 15th Field Artillery Regiment RCA, Second Lieutenant in 2017. Tam, Shirley Yet Wan; Taken on strength 15th Field Artillery Regiment RCA on 7 Jul 1980, released on 8 Jul 1980. Tamer, Ertugrul; Private in 31 Battery in 1984. Tang, Sunny H; Taken on strength as a Gunner in 15th Field Artillery Regiment RCA, Bombardier from 2014 to 2017. 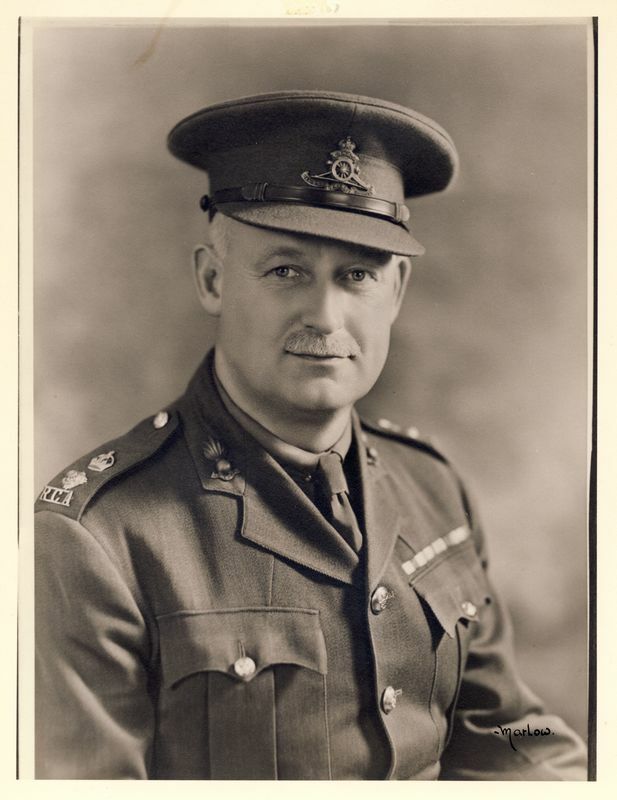 Tanner, GE; Taken on strength as Lieutenant on transfer from 39 Field Regiment (Self Propelled) RCA CA (RF) 15th Field Regiment RCA on 18 Mar 1952, struck off strength on transfer to Supplementary Reserve on 1 Jan 1955. Tarnes, Aaron Dennis; Taken on strength as a Gunner in 15th Field Artillery Regiment RCA on 10 May 1994, qualified QL2 Common Recruit on 23 Aug 1994, released on 10 Apr 1996. Tasker, Michael; Taken on strength 15th Field Regiment RCA on 14 Jan 1958. 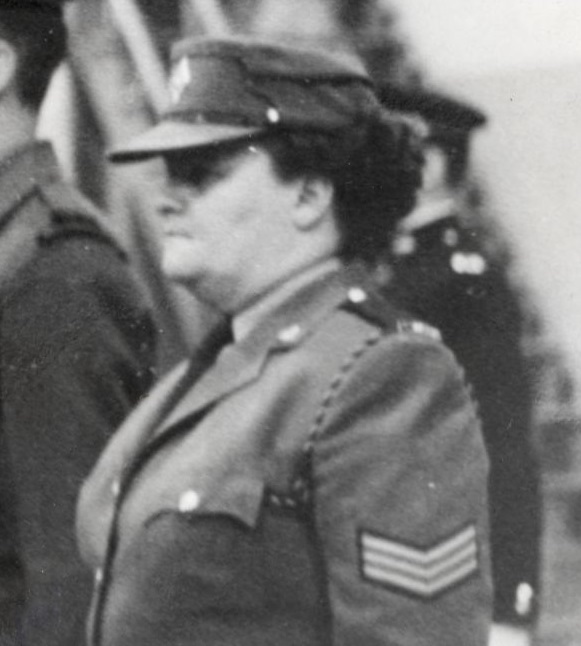 Tatroff, DP; Taken on strength in 15 Field Regiment RCA on 11 May 1950, transferred to 4 Int Training Company Canadian Intelligence Corps on 31 Aug 1951. Taylor, AE; Lance Bombardier in the 43rd Medium Anti-Aircraft Regiment RCA Band in 1958. ​Taylor, Daniel Frederick; Taken on strength as a Gunner in 15th Field Artillery Regiment RCA on 13 May 1993, qualified QL3 Artillery on 5 Mar 1995, promoted Bombardier on 9 Nov 1996, qualified Artillery Communications on 22 Feb 1998, qualified Driver Wheeled on 7 Mar 1999, promoted Master Bombardier in 2008. Taylor, Edmund Bruce; Taken on strength as a Gunner with 58th Battery 15th (Vancouver) Coast Regiment RCA NPAM on 14 Aug 1940, assigned regimental number V1005, appointed Acting Bombardier, assigned new regimental number K416524, struck off strength on transfer to No 11 District Sub-Depot CASF 30 Oct 1940. ​Taylor, LD (Bud); Taken on strength 15th Field Regiment RCA, Sergeant from 1966 to1967, Warrant Officer from 1968 to 1970. Taylor, Robert Warren; Taken on strength with 31 Battery 15th Coast Regiment RCA on 27 Mar 1947, appointed Acting Bombardier on 1 Dec 1947, Acting Sergeant on 27 May 1948, confirmed Sergeant on 1 Feb 1949, appointed Acting Battery Quartermaster Sergeant on 1 Jun 1949, promoted substantive Staff Sergeant on 1 Feb 1956. Taylor, Thomas Edward; Taken on strength with 15 Coast Regiment RCA on 24 Apr 1947, appointed Acting Sergeant in 31 Battery on 25 Apr 1947. 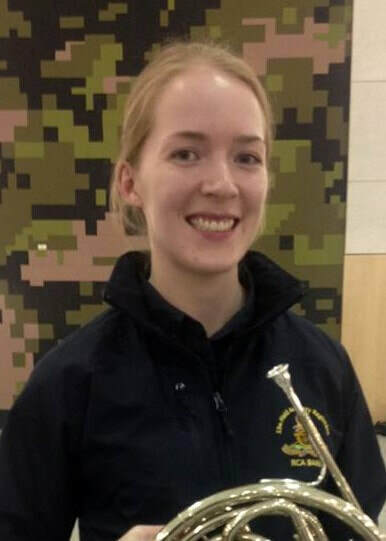 Taylor, Tony; Taken on strength 15th Field Artillery Regiment RCA as a musician, component transferred to Regular Force, posted to Naden Band, Leading Seaman 2019. Taylor, Walter Brent; Taken on strength 15th Field Artillery Regiment RCA on 2 Jul 1981, released on 7 Jul 1981. Taylorson, David Jones; Taken on strength as an Musician in 15th Field Artillery Regiment RCA on 21 Jun 1984, qualified General Military Training on 17 Aug 1984, qualified TQ1 Musician on 17 Aug 1984, qualified TQ2 Musician on 21 Jun 1985, promoted Bombardier on 27 Jun 1985, released on 27 Nov 1986. 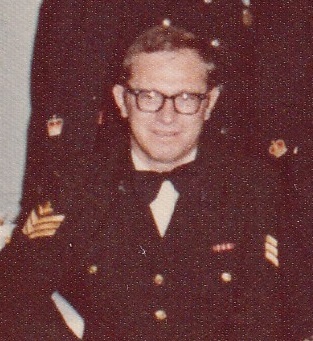 Teeple, Clarence Norman; Taken on strength in Regular Force as a Weapons Technician on 21 Feb 1952, released 6 Mar 1979, taken on strength 15th Field Artillery Regiment RCA as a Warrant Officer on 21 Feb 1980, transferred to HMCS Discovery on 15 Aug 1980. Tees, Gary R; Sergeant National Defence Headquarters as at 1973, 404 Tactical Helicopter Squadron as at 1974 to 31 Dec 1980, Canadian Forces Recruiting Centre Vancouver as at 31 Dec 1981, Regular Force Support Staff Sergeant in 1986. Tees, Percy Curran; Corporal in 4th Trench Mortar Battery Canadian Field Artillery Canadian Expeditionary Force, awarded Military Medal in 1918, Lieutenant in Irish Fusiliers of Canada 1924, qualified Captain 15 Jul 1924, Captain in Irish Fusiliers of Canada 1925, attained proficiency in riding 11 Apr 1925, Lieutenant in 31st Field Battery 15th Field Brigade Canadian Artillery from 1925 to 1927, Brevet Captain 1928, Major in 68th Battery 15th Field Brigade Canadian Artillery 1934, promoted Lieutenant-Colonel and stood up the 1st Anti-Aircraft Regiment Royal Canadian Artillery 15 May 1939, stood up the 6th Field Regiment Royal Canadian Artillery in the summer 1941, appointed acting Commander Royal Artillery 3rd Division 1942, promoted Brigadier and appointed Commander Royal Artillery 2nd Canadian Division later 1942, deceased 1951, buried in Brookwood Military Cemetery Woking Surrey England. Tempelman-Kluit, Dirk Jacob; Taken on strength 15th Field Regiment RCA on enrolment on 10 Jul 1956. 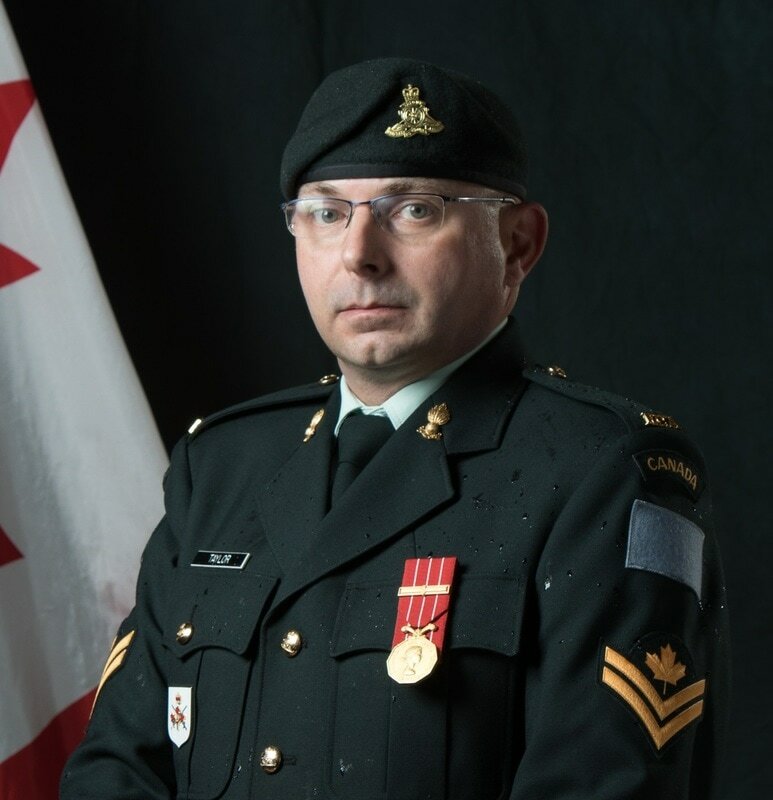 ​Tempest, James E; Taken on strength as a Musician in 15th Field Artillery Regiment RCA, Bombardier from 1986 to 1990, Warrant Officer in 1994, Chief Warrant Officer from 2006 to 2008, Commissioned Captain in 2012, appointed Director of Music in 2012, promoted Major 9 Jun 2017, appointed Senior Director of Music for the Canadian Army Jun 2017. 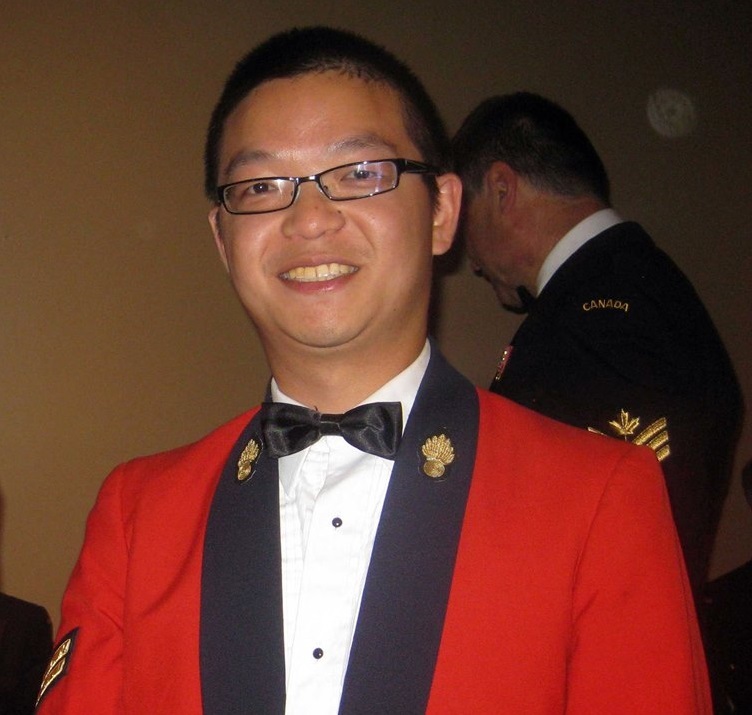 Teng, Wei Kang; Taken on strength as a Gunner in 15th Field Artillery Regiment RCA on 19 Jul 2001, qualified QL2 Common Recruit on 22 Aug 2001, qualified LFC Driver Wheeled on 26 Jan 2002, transferred to The British Columbia Regiment on 15 May 2003. ​​Tennant, Rick J; Taken on strength 31 Battery 15th Field Artillery Regiment RCA on 28 Jan 1989, qualified general Military Training on 14 Apr 1988, qualified Casualty Aide on 13 Aug 1988, qualified QL3 Artilleryman on 30 Dec 1988, promoted Bombardier on 1 Nov 1990, qualified Artillery Community on 7 May 1992, Operational tour with UNFICYP-1992/1993, qualified Junior Non-Commissioned Officer on 29 Jul 1994, promoted Master Bombardier on 8 Sep 1994, qualified Driver Wheeled on 12 Mar 2000, promoted Sergeant on 6 Dec 2001, promoted Warrant Officer. Terlaak, Dustin Alfred Hubert; Taken on strength as a Gunner in 15th Field Artillery Regiment RCA on 18 Jun 1988, released 1 Sep 1988. Terris, Edward Murdoch; Taken on strength 15th Field Regiment RCA on enrolment on 18 Sep 1956. Thach, Thien Phuong (Peter); Taken on strength as a Gunner in 15th Field Artillery Regiment RCA on 16 Apr 1998, qualified QL2 Common Recruit on 16 Sep 1998, qualified QL3 Artillery on 21 Aug 1998, qualified QL4 Artillery Communications on 6 Feb 2000, qualified LFC Driver Wheeled on 26 Jan 2002, promoted Bombardier on 25 Mar 2001. Thackeray, Paul Andrew; Lance Sergeant in 85 Heavy Battery in Aug 1939, taken on strength 15th Coast Regiment RCA on 5 Dec 1946, promoted Warrant Officer Class II on 19 Dec 1946, struck off strength on 22 Jan 1948. Thackray, WS; Taken on strength 15th Field Regiment RCA on transfer from Supplementary Reserve (RCA) on 25 Sep 1956. Thammanatr, Thih; Taken on strength 15th Field Artillery Regiment RCA on 2 Jul 1981, released on 6 Sep 1981. 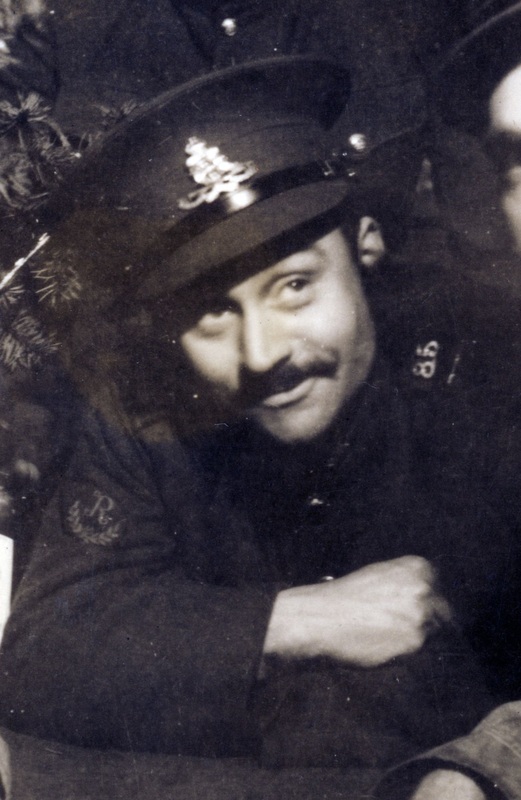 Theriau, Lemuel Edgar; Taken on strength in 15th Field Regiment RCA on 18 Sep 1952, struck off strength on 24 Mar 1953. Theunissen, Brett; Taken on strength as a Gunner in 15th Field Artillery Regiment RCA on 15 Jun 1995, qualified QL2 General Military Training on 11 Aug 1995, released on 13 Jan 1996. Thibault, Marie Anne; Taken on strength as an Administrative Clerk in 15th Field Artillery Regiment RCA on 25 Jun 1974, qualified General Military Training on 23 Aug 1974, qualified Motor Support Equipment Operator on 1 Aug 1975, promoted Corporal on 1 Apr 1976, promoted Master Corporal on 1 Dec 1976, transferred to Supplementary Reserve on 26 Apr 1977. 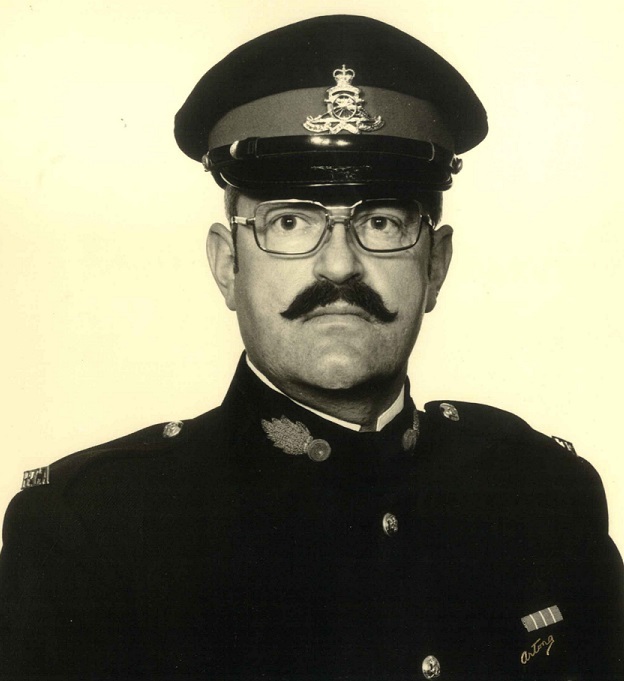 ​Thibert, Yvan; Sergeant, the Regular Force Chief Clerk in 1976 and 1977. Thistlethwaite, Colin; Attested Canadian Overseas Expeditionary Force 14 Oct 1916, regimental #342858, 72nd (Queens) Battery Canadian Field Artillery, promoted Bombardier 1 Nov 1916, embarked Halifax 28 Mar 1917, disembarked Liverpool 7 Apr 1917, taken on strength Reserve Brigade Canadian Field Artillery 8 Apr 1917, reverts to Gunner 8 Apr 1917, posted to 2nd Reserve Brigade Canadian Field Artillery 22 Jun 1917, granted leave 13 Sep 1917, taken on strength 8th Army Brigade Canadian Field Artillery 23 Sep 1917, admitted hospital 21 Jan 1918 with trench fever, invalided sick and posted to Canadian Artillery Regimental Depot 15 Feb 1918, on command 2nd CCD 1 May 1918, taken on strength Composite Brigade Canadian Reserve Artillery 14 Jun 1918, taken on strength 68th Battery 16th Brigade Canadian Field Artillery North Russia Expeditionary Force 21 Aug 1918 , proceeded overseas 20 Sep 1918, disembarked Archangel 1 Oct 1918, hospitalized 3 Oct 1918, discharged to duty 5 Nov 1918, disembarked United Kingdom 19 Jun 1919, embarked for Canada 5 Jul 1919, discharged 15 Jul 1919, deceased 16 Oct 1971, interred Greenwood Cemetery Vankleek Hill ON. Thom, Jack; Taken on strength 15th Field Regiment RCA on 6 Jan 1955, struck off strength on release on 1 Sep 1957. Thomas, Frank Noble; Taken on strength 31 Battery 15th (Vancouver) Coast Brigade RCA NPAM 20 Aug 1940, assigned regimental number V9494, appointed Acting Lance Bombardier 15 Sep 1940, assigned new regimental number K415517, struck off strength left regimental area 15 Oct 1940. ​Thomas, Gilian Rose ; Taken on strength as a Gunner in 15th Field Artillery Regiment RCA on 1 Jul 1999, qualified QL2 Common Recruit on 26 Aug 1999, qualified QL3 Artillery on 18 Aug 2000, awarded the Gunner Douglas Corsor Jr. Memorial trophy in 2001, qualified QL4 Artillery communications on 8 Mar 2001, qualified LFC Driver Wheeled on 26 Jan 2002, promoted Bombardier on 19 Sep 2002, transferred to 78 Battery 20th Field Artillery Regiment RCA on 23 Jan 2003. 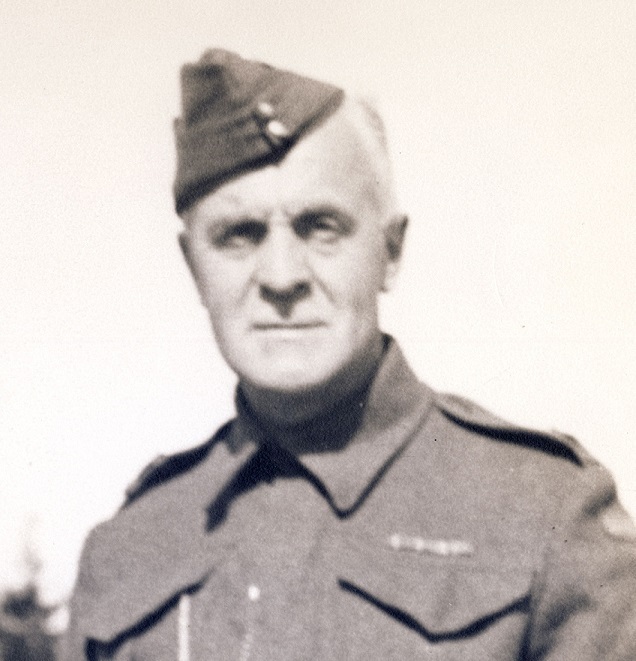 ​Thomas, GP; Appointed to the 15th (Vancouver) Coast Regiment RCA as Second Lieutenant effective 1 Jan 1942, posted to 85th Battery 1 Jan 1942. 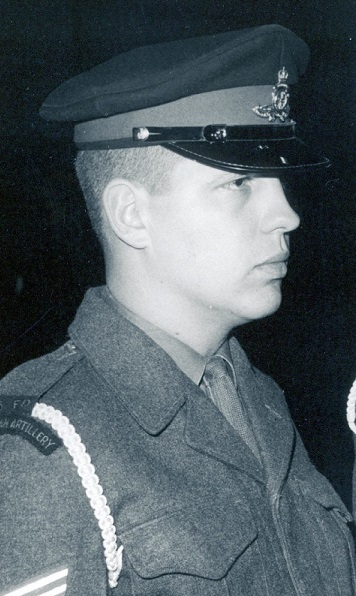 Thomas, JA; Private in 31 Battery in 1969. Thomas, Steven W; Taken on strength in 15th Field Artillery Regiment RCA, Private in 2017. ​Thompson; Gunner in "C" Sub Section 68 Battery Canadian Field Artillery North Russia Expeditionary Force in April 1919. Thompson, John; Taken on strength in 15 Field Regiment RCA on 21 Sep 1950, struck off strength on 12 Feb 1954. Thompson, Melanie Jean; Taken on strength as a Weapons Technician in 15th Field Artillery Regiment RCA on 17 Jun 1993, qualified QL2 General Military Training on 25 Aug 1993, awarded Most Efficient Recruit of the Year trophy 1994, qualified QL3 Weapons Technician on 15 Aug 1995, qualified QL4 Weapons Technician on 20 Nov 1996, promoted Corporal on 20 Nov 1996. Thompson, Richard Miles; Taken on strength as a Gunner in 15th Field Artillery Regiment RCA on 26 Apr 1994, qualified QL2 Common Recruit on 16 Aug 1994, released on 12 Oct 1995. ​Thompson, Ruth H; Sergeant in 15th Field Artillery Regiment RCA from 1965 to 1969, Warrant Officer in 1976. Thompson, Stanwood Vernon; Taken on strength Royal Canadian Garrison Artillery Halifax 1917, attested Canadian Expeditionary Force # 1274345 22 Jun 1918, transferred No 6 Artillery Depot, discharged 18 Feb 1919, Taken on strength on transfer from 43 Medium Anti-Aircraft Regiment RCA (M) on 1 May 1956, Warrant Officer Class II in 1962, Battery Sergeant Major of 31st Battery 15th Field Artillery Regiment RCA in 1962. Thompson, Steven Wallace; Taken on strength as an Gunner in 15th Field Artillery Regiment RCA with previous service on 16 May 1986, released on 1 Sep 1986. ​Thomson, Brian Sheriff; Taken on strength as a Musician in 15th Field Artillery Regiment RCA on 25 Nov 1981, qualified General Military Training on 26 Jun 1982, qualified TQ1 , 2 & 3 musician on 25 Nov 1982, transferred to Supplementary List on 5 Sep 1983, transferred to 15th Field Artillery Regiment RCA on on 30 Aug 1982, transferred out on 18 Sep 1986. Thomson, Lloyd; Taken on strength as a Gunner with 58th Battery 15th (Vancouver) Coast Regiment RCA NPAM on 7 Aug 1940, assigned regimental number V1006, assigned new regimental number K416609. Thomson, Natasha Lee; Taken on strength in 15th Field Artillery Regiment RCA on 22 Feb 1994, released on 9 Jan 1996. Thorkelsson, Eric Harold; Taken on strength as a Gunner in 15th Field Artillery Regiment RCA on 20 Sep 1982, released on 25 Nov 1982. Thorn, Barrie Leslie Scott; Taken on strength on 7 Oct 1952, appointed Lance Bombardier on 1 Feb 1957, promoted substantive Bombardier on 1 Sep 1957, appointed Lance Sergeant on 1 Apr 1958, Sergeant listed on the Warrant Officers and Sergeant’s Mess gong. Thorn, CHV; Acting Lance Bombardier in 15th (Coast) Brigade RCA NPAM 28 Aug 1940, appointed Acting Bdr 1 Sep 1940, assigned new regimental number K415008, posted to 58th Heavy Battery 1 Nov 1940. Thorup, Ann Caroline; Taken on strength in 15th Field Artillery Regiment RCA on 18 Apr 1986, released on 30 Jul 1986. ​​Thrussell, Ernest Francis; Trooper Signaller with 1st Signal Squadron Anzac Mounted Division Australian Imperial Force, released Aug 1919, enrolled 15th Field Brigade Canadian Artillery, Service Number TK 10077, Signal Sergeant from 1935 to 1937, 15th (Vancouver) Coast Brigade RCA Regimental Quartermaster Sergeant Sep 1939, Warrant Officer Class II in 1940, commissioned Lieutenant May 1941, transferred as Quartermaster to Coast Defence and Anti-Aircraft Training Centre Nov 1941, promoted Captain May 1942, transferred to 3 Medium Regt Royal Canadian Artillery May 1942, transferred to CITR 1944, 43rd Medium Anti-Aircraft Regiment RCA in 1958, awarded Canadian Forces Decoration 12 May 1958, deceased 7 Jan 1985. Thurlwell, WN; Lance Sergeant in 85 Heavy Battery 15th (Vancouver) Coast Brigade RCA CASF on 30 Aug 1939. Thurston, KT; Second Lieutenant attached 15th (Vancouver) Coast Brigade RCA NPAM from the Canadian Officers Training Corps 15 Oct 1940. 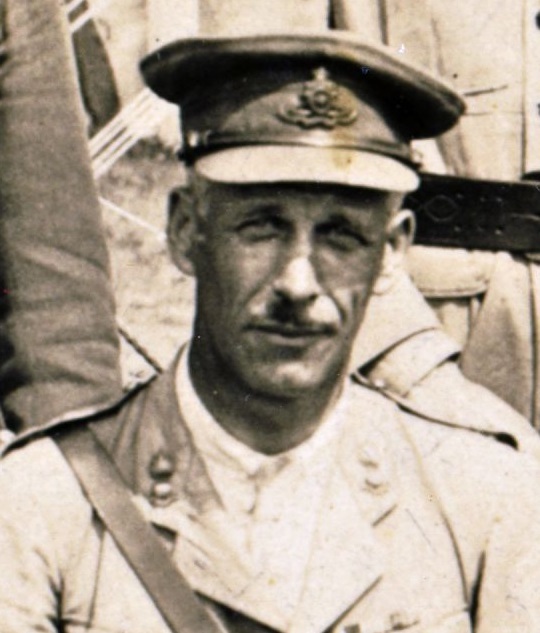 ​Thurwell, Norm W; Bombardier (Lance Sergeant?) in 85th Heavy Battery 15th (Vancouver) Coast Brigade RCA in Aug 1939. ​Tibbitt, David Brian; Taken on strength as a Gunner in 15th Field Artillery Regiment RCA on 16 Aug 1982, released on 30 Apr 1983. Tietze, Christopher Charles; Taken on strength as a Gunner in 15th Field Artillery Regiment RCA on 30 May 1995, released on 30 Nov 1995. Timensky, Hannah; Taken on strength as a Musician n 15th Field Artillery Regiment RCA. Timmins, Matthew; Taken on strength as a Gunner in 15th Field Artillery Regiment RCA on 11 Jun 1988, qualified General Military Training on 27 Aug 1988, transferred to Royal Westminster Regiment on 13 Oct 1988. Timurov, Imran Elmanovitch; Taken on strength as a Gunner in 15th Field Artillery Regiment RCA on 12 Jul 2001, qualified QL2 General Military Training on 1 Aug 2001, released on 26 Oct 2001. Tintinger, Xavier N; ​Taken on strength as a Gunner in 15th Field Artillery Regiment RCA, Bombardier in 2017. Tobin, Nicole Michelle; Taken on strength as a Gunner in 15th Field Artillery Regiment RCA on 18 May 1999, qualified QL2 General Military Training on 26 Aug 1999, qualified LFC Driver Wheeled on 12 Mar 2000, qualified QL3 Artillery on 18 Aug 2000, qualified QL4 Artillery Communications on 8 Mar 2000, released on 25 Apr 2006. ​Todd, DK; Lieutenant in 85th Battery 15th Field Brigade Canadian Artillery from 1928 to 1930. Todd, Gavin LD; Taken on strength as a Gunner in 15th Field Artillery Regiment RCA, Bombardier from 2014 to 2017. Todrick, Robert Alexander; 68th Battery Canadian Field Artillery Gunner July 1916, Sergeant 5th Regiment Canadian Garrison Artillery England Feb 1917, France 8th Army Brigade Gunner May 1917, wounded St Pierre Sept 1917, Canada and discharged April 1919, taken on strength as a Gunner with 85th Battery 15th (Vancouver) Coast Regiment RCA NPAM 31 Jul 1940, assigned regimental number V10421, to be Acting Bombardier 15 Sep 1940, assigned new regimental number K417509. ​Todrick, Thomas; Taken on strength 31st Regiment BC Horse, taken on strength 5th Regiment Canadian Garrison Artillery, taken on strength 68th Overseas Depot Battery 18 Jul 1916, appointed Lieutenant 18 Dec 1916, embarked Canada 31 May 1917, disembarked England 10 Jun 1917, taken on strength 2nd Brigade Canadian Reserve Artillery 10 Jun 1917, taken on strength Reserve Brigade Canadian Garrison Artillery 18 Nov 1917, proceeded overseas 14 Apr 1918, posted to 2nd Brigade Canadian Siege Artillery 28 Apr 1918, granted 14 days leave to United Kingdom 7 Nov 1918, rejoined from leave 25 Nov 1918, proceeded to England 30 Mar 1919, sailed for Canada 3 May 1919, discharged 15 May 1919, Lieutenant in 5th Siege Battery 15th Brigade Canadian Field Artillery from 1922 to 1925, Captain from 1927 to 1928, Major from 1930 to 1941, Corps Reserve of Officers in 1939, Battery Commander 58th Heavy Battery 15th (Vancouver) Coast Brigade RCA NPAM in 1940, Second in Command 15th (Vancouver) Coast Brigade RCA NPAM in 1941, called out and attached to RCA Training Centre, Winnipeg effective 21 Mar 41. Tokrud, Timothy Lionel; Taken on strength 15th Field Artillery Regiment RCA on 3 Jul 1978, released on 27 Aug 1978. Tolhurst, JJ; Gunner in 15th (Vancouver) Coast Brigade RCA in 1940. Tom, Harvey; Taken on strength 15th Field Artillery Regiment RCA on 4 Jul 1977, released on 28 Aug 1977. Tombing, H; Captain in 2014. Tomkinson, Thomas; Taken on strength 21st Battery Canadian Field Artillery 1911, attested into Canadian Over-seas Expeditionary Force 26 Sep 1914, to be Corporal 25 Sep 1914, to be acting Sergeant 6 Jun 1915, to be Sergeant 17 Jul 1915, admitted 1 Canadian Field Hospital 22 Nov 1915, discharged 6 Dec 1915, proceeded on leave 14 Feb 1916, returned from leave 7 Mar 1916, promoted battery Sergeant Major (Warrant Officer Class II) 11 Nov 1916, mentioned in dispatches for gallant service in the field 1 Jun 1917, admitted No 1 Canadian Field Hospital 9 Jun 1917, rejoined unit 21 Jun 1917, admitted 2/1st Home Counties Field Ambulance 9 Nov 1917, invalided and posted to Regimental Depot Witley 2 Dec 1917, taken on strength Reserve Brigade 25 Mar 1918, taken on strength 16th Brigade Canadian Field Artillery 21 Aug 1918, disembarked in Archangel 1 Oct 1918, awarded Distinguished Conduct Medal 17 Apr 1919, embarked Archangel 11 Jun 1919, to Canada 5 Jul 1919, deceased 3 Feb 1971, buried Cimetière Mont-Royal Montreal. Tomlinson, David Keighley; ​Taken on strength in 15 Field Regiment RCA on 22 Sep 1949, struck off strength on 16 Feb 1954. Tompkins, John Bernard; Taken on strength 31 Battery 15th (Vancouver) Coast Brigade RCA NPAM 6 Aug 1940, assigned regimental number V9495, assigned new regimental number K415595. Toombs, WO; Captain in 1958, 43rd Medium Anti-Aircraft Regiment RCA in 1958. 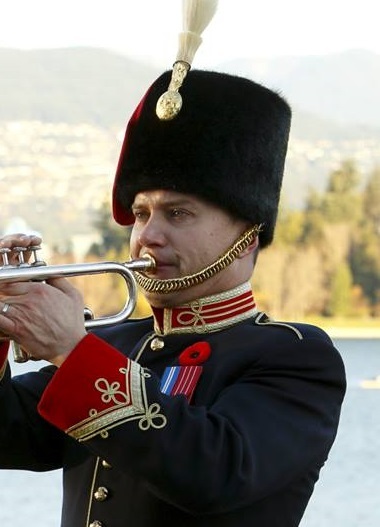 Torok, Geza Steve; Taken on strength as a Musician in 15th Field Artillery Regiment RCA on 5 Jul 1984, qualified General Military Training on 17 Aug 1984, qualified TQ1 Musician on 17 Aug 1984, qualified TQ2 Trumpet, promoted Bombardier on 4 Jul 1985, released on 10 Oct 1985. 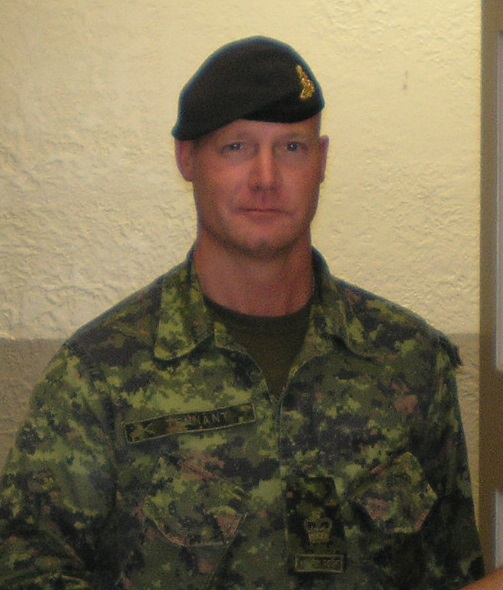 ​Toth, Ron C; Taken on strength as a Musician in 15th Field Artillery Regiment RCA, Gunner in 1994, Bombardier from 2014 to 2017. Towana, Resham Singh; Taken on strength as a Gunner in 15th Field Artillery Regiment RCA on 30 Nov 1985, released on 4 Oct 1986. Towers, Thomas Ewart; Taken on strength with 15th Field Regiment RCA on 15 Apr 1948, appointed Lance Bombardier on 16 Apr 1948, struck off strength on 24 Nov 1949. Town, RK; Quarter Master Sergeant 1938, awarded Efficiency Medal 1938. 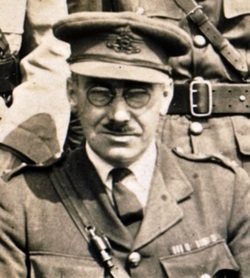 ​Townsley, William Allen; Served with the 27th Battery Canadian Field Artillery in the First World War, Major in 31st Battery 15th Brigade Canadian Field Artillery from 1922 to 1924, member of the Vancouver Overseas Artillery Association in 1919, Commanding Officer of the 15th Brigade, Canadian Field Artillery from 1924 to 1930, founding member of the Vancouver Armoury Association in 1928, organized the 18th Field Regiment RCA in June 1941, took command of 2nd Medium Regiment later that year, took command of No. 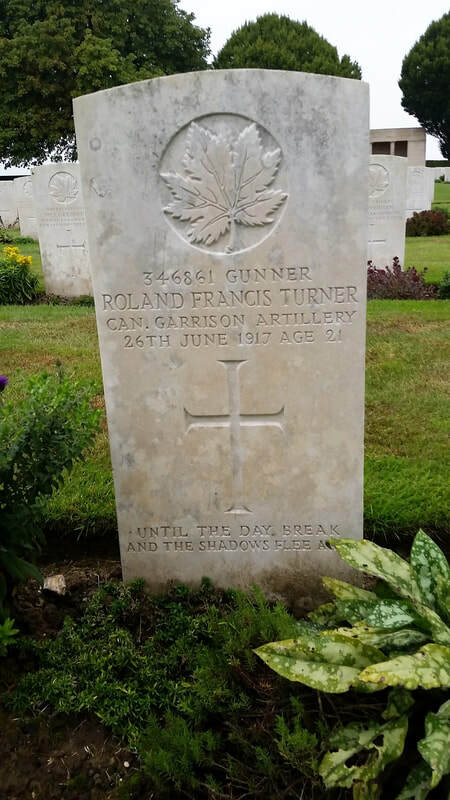 1 Canadian Artillery Reinforcement Unit in May 1943, Officer of the Military Division of the Most Excellent Order of the British Empire on 1 June 1945, engineer in charge of the Mt Lolo project in 1956, deceased 15 May 1973, buried Mountain View Cemetery Vancouver BC. ​Tran, Phong Thanh; Taken on strength as a Gunner in 15th Field Artillery Regiment RCA on 20 May 1993, qualified QL2 General Military Training on 25 Aug 1993, released on 25 May 1994. 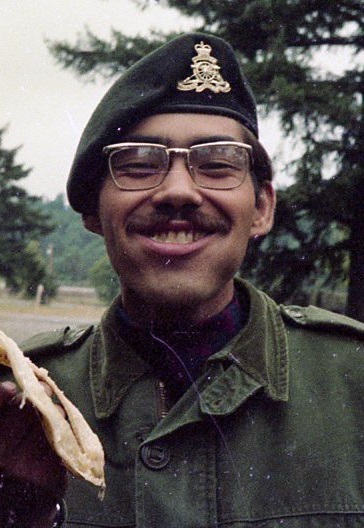 Tran, Tony; Taken on strength as a Gunner in 15th Field Artillery Regiment RCA on 11 Jun 1988, qualified General Military Training on 27 Aug 1988, transferred to The British Columbia Regiment on 15 Sep 1988. ​Trappitt, Charles Henry Peter; Served with Pacific Command Security Intelligence Section, made a member of the Military Division of the Most Excellent Order of the British Empire on 5 Jan 1946, taken on strength 15 Coast Regiment RCA on 4 Sep 1946, promoted Quartermaster Sergeant (Warrant Officer Class II) on 4 Sep 1946, promoted Warrant Officer Class I and appointed Regimental Sergeant Major of 15th Coast Regiment RCA on 28 Jan 1947, transferred to the 102nd Coast Regiment RCA on 23 Sep 1949, retired to Sechelt BC, deceased July 1982. Traub, Donald William; ​Taken on strength 15th Field Regiment RCA on enrolment on 8 May 1956. Travis, Robert Dimma; Attested Canadian Overseas Expeditionary Force 6 May 1916, assigned Regimental # 332844, taken on strength 62nd Battery 15th Brigade Canadian Field Artillery, embarked Halifax 11 Sep 1916, disembarked Liverpool 22 Sep 1916, absorbed by 58th Battery 14th Brigade Canadian Field Artillery 22 Jan 1917, landed in France 22 Aug 1917, appointed Bombardier 6 Sep 1917, on command Lewis Gun course 20 Feb 1918, rejoined unit 12 Mar 1918, struck off strength on proceeding to Canadian Artillery Reinforcement Depot in England with a view to obtaining a commission in the Canadian Field Artillery 12 Oct 1918, appointed Cadet 15 Oct 1918, taken on strength Reserve Brigade Canadian Field Artillery 10 Dec 1918, struck off strength to Canada 9 Jan 1919, discharged 13 Feb 1919, married Anna Windsor Bradshaw 28 Jun 1921, rejoined, Regimental # TK10185, awarded Canadian Efficiency Decoration in 1944, Major in 1945, made Member of the Order of the British Empire 16 Jun 1945, Brigade Major in 1 Training Brigade Group, Lieutenant-Colonel in 1958, awarded Canadian Forces Decoration 17 Feb 1958, deceased 17 Jan 1989, buried Ross Bay Cemetery. Tribe, Jonathan; 68th Battery Canadian Field Artillery Gunner Jan 1917, England May 1917, France 3rd Battery CFA Sept 1917, Canada and discharged April 1919. 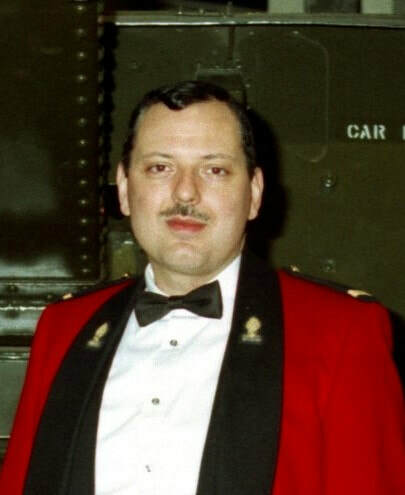 Trifonas, Steve Stavros; Taken on strength as an Officer Cadet in 15th Field Artillery Regiment RCA on 25 Oct 1990, qualified Basic Officer Training I on 15 Jan 1990, qualified Basic Army Officer Training on 12 Jul 1991, qualifies Basic Officer Training II on 28 Feb 1991, promoted Second Lieutenant on 12 Jul 1991, released on 20 Oct 1993. Triggs; Gunner in Point Grey Fort, Boer War vet. Trimble, Gary John; Taken on strength in 15th Field Regiment RCA on 19 Mar 1953, struck off strength on 19 Mar 1954. Trounce, FG; Gunner in 58th Heavy Battery in 1939. Trovato, Edward A; Gunner in the Regimental Band in 1989 and 1990. Truong, Thanh Tuan; Taken on strength 15th Field Artillery Regiment RCA on 2 Jul 1981, released on 20 Aug 1981. 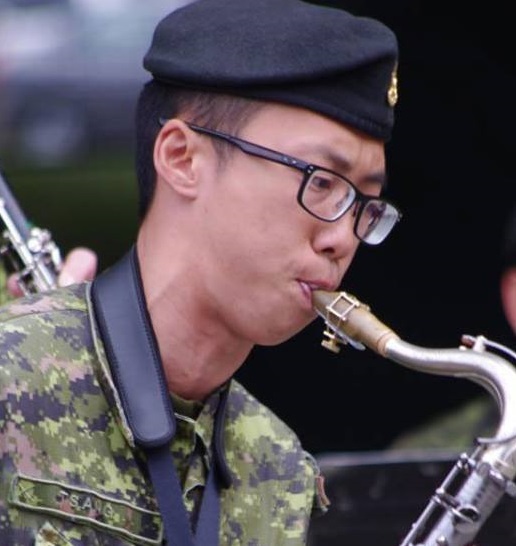 ​Tsang, Eric PH; Taken on strength as a Musician in 15th Field Artillery Regiment RCA, Bombardier from 2014 to 2017. Tsang, Wing; Taken on strength as a Finance Clerk in 15th Field Artillery Regiment RCA on 4 Apr 1996, qualified QL2 General Military Training on 7 Aug 1996, qualified QL3 Finance on 23 Aug 1996, released on 16 May 2001. ​Tse, Gary R; Taken on strength as a Musician in 15th Field Artillery Regiment RCA, Bombardier in 2016. 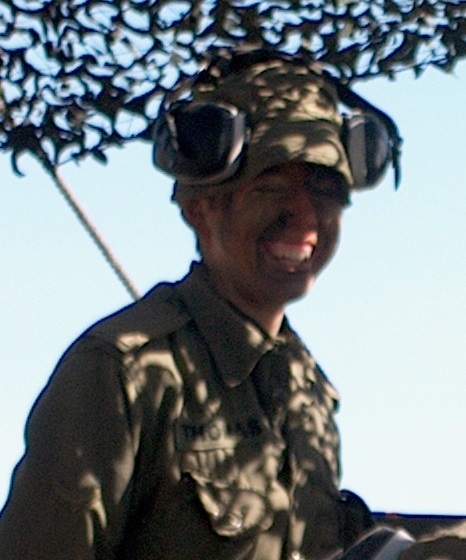 ​Tse, Jackie Chin-Kei; Taken on strength as a Gunner in 15th Field Artillery Regiment RCA on 16 Jul 2004. Tse, Wanda Choi Man; Taken on strength 15th Field Artillery Regiment RCA on 7 Jul 1980, released on 15 Jul 1981. Tully, John Joseph; Four years previous service with US Army, regimental #91663, attested Canadian Overseas Expeditionary Force 13 Sep 1915, 31st Battery 8th Brigade Canadian Field Artillery, embarked St John 5 Feb 1916, disembarked Plymouth 14 Feb 1916, embarked for France 13 Jul 1916, 31st Battery moved to 9th Brigade in reorganization 5 May 1917, attached to instructors course 19 Jun 1917, rejoined unit 13 Jul 1917, granted 10 days leave 16 Sep 1917, rejoined from leave 28 Sep 1917, sentenced to 28 days Field Punishment #1 for drunkenness 4 May 1918, awarded Military Medal 25 Jun 1918, 10 days leave Paris 20 Sep 1918, rejoined unit 29 Sep 1918, granted 8 days leave to United Kingdom 18 Feb 1919, proceeded to Canada 19 Mar 1919, discharged 30 Mar 1919. Turna, Rex Sterling Lung Sing; Taken on strength as an Gunner in 15th Field Artillery Regiment RCA on 7 Jun 2001, qualified QL2 Common Recruit on 20 Jul 2001, awarded Most Efficient Recruit of the Year trophy 2001, qualified LFC Driver Wheeled on 26 Jan 2002, released 3 Feb 2005. Turnbull, Michael Wade; Taken on strength in 15th Field Regiment RCA on 10 Sep 1953, struck off strength on release on 24 Mar 1955. Turner, Buddy Andrew; Taken on strength as an Gunner in 15th Field Artillery Regiment RCA with previous service on 26 Sep 1992, qualified QL2 General Military Training, qualified QL3 105mm Howitzer, qualified QL4 Artillery communications, qualified QL4 Basic Artillery Technician qualified Driver Heavy Track, qualified M109 conversion, qualified Winter Warfare, promoted Bombardier on 25 Feb 1993, qualified Combat Leaders Course Block II on 13 Mar 1994, released 10 Mar 1995. Turner, Christopher Thomas; Taken on strength 15th Field Regiment RCA with former service in Royal Canadian Navy on 14 Mar 1957, struck off strength on release on 1 Dec 1957. 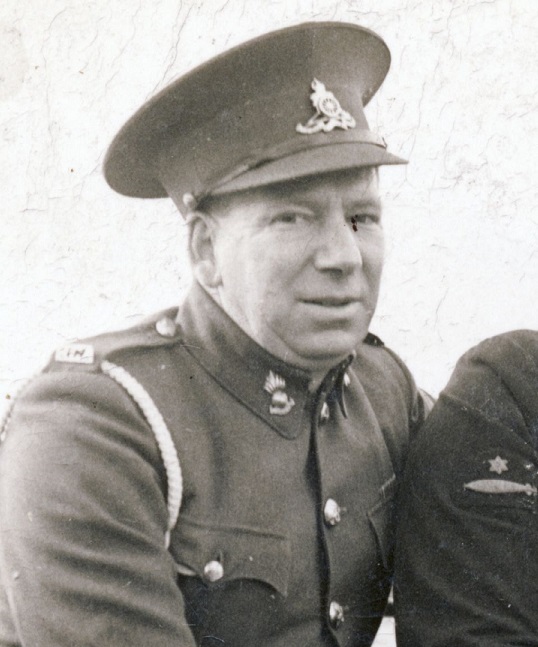 Turner, Graham Alexander; Taken on strength as a Gunner with 58th Battery 15th (Vancouver) Coast Regiment RCA NPAM on 7 Aug 1940, assigned regimental number V1007, assigned new regimental number K416610. Turner, Jonathan Russell; Taken on strength as a Gunner in 15th Field Artillery Regiment RCA on 19 Nov 1983, qualified QL2 General Military Training on 7 Jul 1984, qualified TQ2 Basic Artillery technician on 10 Aug 1988, promoted Bombardier on 1 Feb 1985, transferred to Supplementary List on 28 May 1987. Turner, Lori Lynn; Taken on strength as a Supply Technician in 15th Field Artillery Regiment RCA on 9 Jul 1979, qualified General Military training on 2 Sep 1979, promoted Corporal on 22 Aug 1980, qualified Driver Non-Trade on 18 Dec 1980, released on 4 Dec 1981. 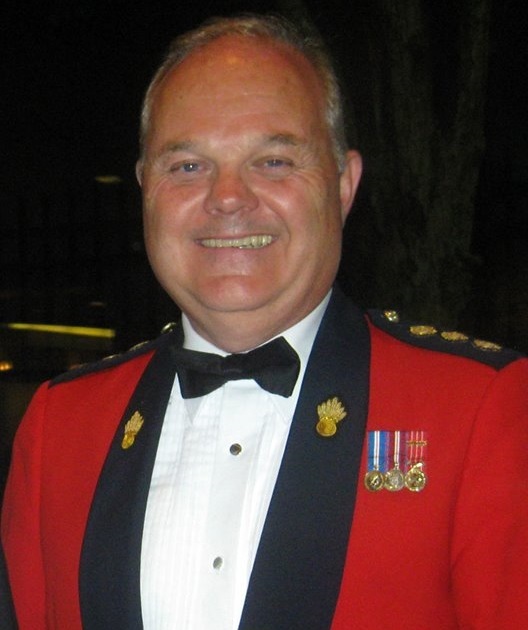 Turner, Mark Andrew; Taken on strength as a Gunner in 15th Field Artillery Regiment RCA on 7 Jul 1980, qualified General Military Training on 27 Sep 1980, transferred to Seaforth Highlanders of Canada on 27 Jan 1981. Turner, NFB; Taken on strength 15th Field Regiment RCA from 8 Provost Company C Pro C on 1 Jan 1958, appointed Lance Bombardier on 1 Apr 1958. Turner, Richard Cimon; Taken on strength 15th Field Artillery Regiment RCA on 2 Jul 1981, qualified General Military Training on 18 Aug 1981, transferred to Seaforth Highlanders of Canada on 1 Nov 1981. Turner, Roland Francis; Taken on strength as a Gunner with Canadian Overseas Expeditionary Force on 29 Mar 1916 part of 2nd Reinforcements Siege and Heavy Artillery, taken on strength 5th Canadian Siege Battery, deceased 26 June 1917 due to enemy counter bombardment fire, buried Cabaret-Rouge British Cemetery Souchez Pas de Calais France. Turner, Stephen Anthony; Taken on strength as a Gunner in 2nd Field Artillery Regiment RCA on 11 Oct 1969, qualified General Military Training on 12 Apr 1970, qualified Artilleryman on 5 Aug 1970, qualified Artillery Technician on 14 Aug 1971, attach posted to 15th Field Artillery Regiment RCA on 6 Jun 1976, promoted Bombardier on 1 Oct 1976, transferred to 15th Field Artillery Regiment RCA on 11 Sep 1977, transferred to Supplementary Reserve on 30 Jun 1978. 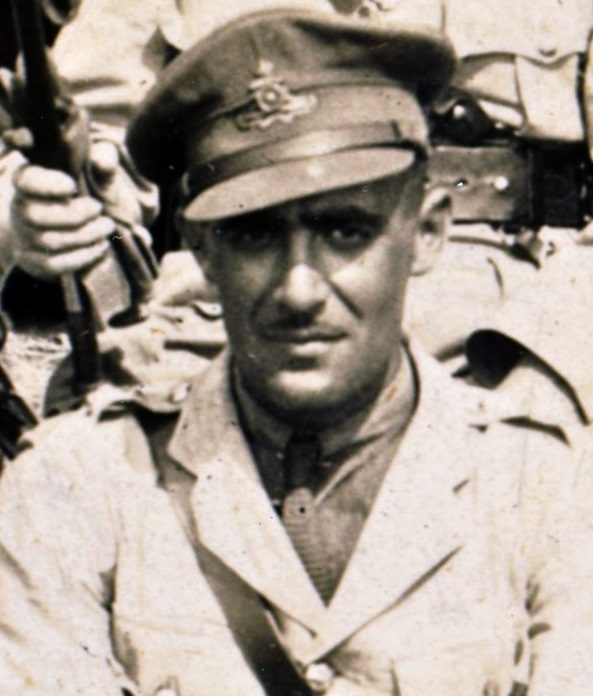 Twelves, Claude Frederick Henry; Served in World War I, France and Belgium from 20 July 1915 to 5 August 1917, taken on strength with 31st Battery 15th Brigade on 14 June 1923, Lieutenant from 1924 to 1927. Tyldesley-Gore, Eric Clifford; Taken on strength as a Gunner in 15th Field Artillery Regiment RCA on 5 Oct 1961, Lance Bombardier in 1962, Bombardier in 1963, Sergeant in 1966, Master Warrant Officer from 1969 to 1973, promoted Chief Warrant Officer and appointed Regimental Sergeant Major in 1976, appointed District Sergeant Major in 1979, transferred to 15th Field Artillery Regiment RCA on 1 Sep 1981, appointed Regimental Sergeant Major on 1 Sep 1981, transferred to Supplementary List on 15 Jun 1983, commissioned as a Captain with the Cadet Instructor Cadre from 1988 to 1999, deceased 29 July 2018. ​Tylee, Gary Joseph; Taken on strength as a Gunner in 15th Field Artillery Regiment RCA on 9 Jul 1973, qualified General Military Training on 27 Jul 1973, released 30 Sep 1973, re-enroled on 23 Jan 1975, qualified General Military Training on 15 Jun 1975, released on 1 Feb 1976. 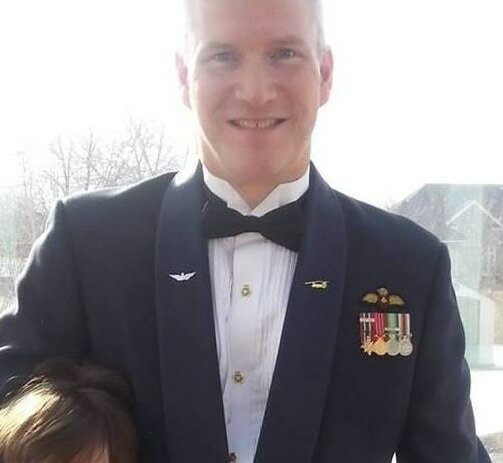 ​Tyler, Michael Joseph; ​Taken on strength as a Gunner in 15th Field Artillery Regiment RCA on 17 Jan 1995, qualified QL2 General Military Training on 11 Aug 1995, released on 23 Oct 1996. Tyler, Robert William Charles; Taken on strength as a Gunner in 15th Field Artillery Regiment RCA on 15 Jun 1992, qualified QL2 General Military Training on 23 Jul 1992, qualified Basic Driving Course on 21 Aug 1992, qualified QL3 Motor Support Equipment Operator on 17 May 1993, qualified QL3 Artillery on 5 Mar 1995, qualified QL4 Basic Artillery Technician Part I on 11 Aug 1995, qualified QL4 Basic Artillery Technician Part II on 14 Jul 1995, qualified QL4 Basic Artillery Technician Part III on 29 Jul 1995, appointed Officer Cadet on 8 Mar 1996, qualified Basic Army Officer Training Phase II on 9 Aug 1996, promoted Second Lieutenant on 1 Sep 1996, qualified RESO Phase III on 17 Aug 1997, promoted Lieutenant on 1 Sep 1997, transferred Royal Canadian Air Force, Chinook pilot, Major. Tymo, Darlene Myrna; Taken on strength as an Administrative Clerk on 15 Feb 1977, qualified General Military Training on 18 Jun 1977, qualified Driver Non-Trade on 25 Aug 1977, qualified Administrative Clerk on 11 Mar 1978, promoted Corporal on 1 Apr 1978, qualified Supply Technician on 1 Jan 1978, released on 3 Oct 1978. Tynan, Mark James; Taken on strength as a Musician in 15th Field Artillery Regiment RCA with previous service on 19 Feb 1989, qualified General Military Training, qualified QL 1 & 2 Musician, quaified TQ3 Musician on 28 Aug 1989, released on 18 Aug 1989.